Dress shoes are known for their stylish looks, but not always for their comfort. Dress shoes rarely breathe well, thus trapping heat and causing feet to sweat. Compounding this problem, most dress socks are made with cotton or wicking fibers like polyester, nylon, acrylic or wool which do not keep feet dry. 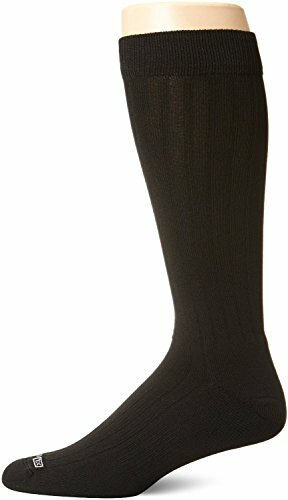 The Drymax Dress sock has dense protective padding which protects feet without adversely affecting the fit of the shoes. The Dress socks are designed to keep feet dry, comfortable and odor free all day.